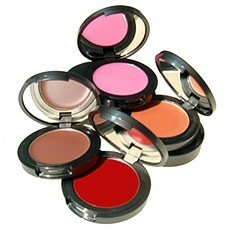 For a sheer powdery finish try our Creme to Powder Blushes! Just a dab of this sheer, faintly shimmering color wash brings a fresh, natural glow to the cheeks. Our Watercolours for Cheeks collection was inspired by the sheer effect of watercolor paints on paper and the beautiful flowers so prevalent in watercolor paintings through the ages. We have created 4 soft and dewey shades that will impart a delicate, healthy flush for all skin tones and skin types. On the go? Watercolours for Cheeks are also the perfect moisturizing lip tint!